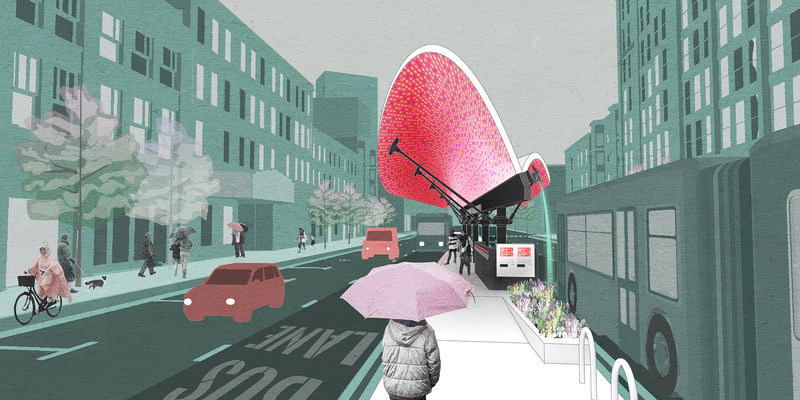 The Utile team was awarded the first place prize in the BostonBRT Station Design Competition, hosted by the Barr Foundation and the Institute for Transportation and Development Policy (ITDP). 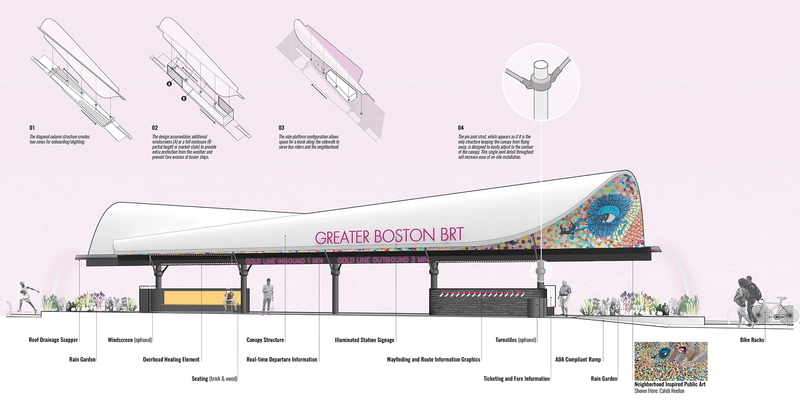 The competition called upon designers for creative and inspiring ideas for future Bus Rapid Transit (BRT) stations that create a sense of civic pride and a world-class transit experience for Bostonians. 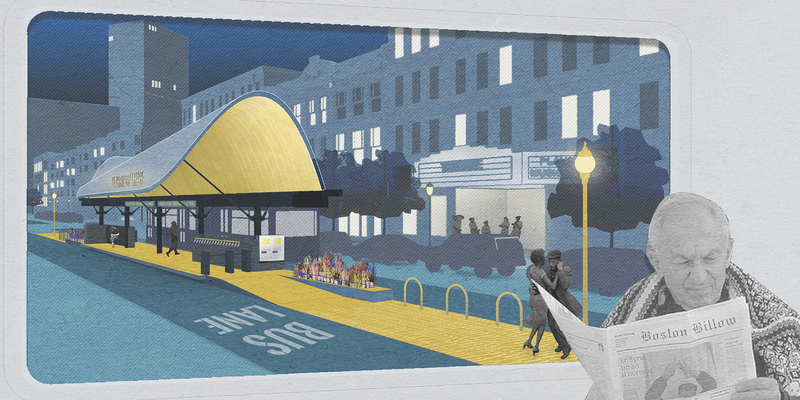 The Barr Foundation’s BostonBRT research and community engagement initiative explores opportunities for bringing BRT to the Boston region, and raises awareness about the benefits of incorporating BRT into urban transportation systems. 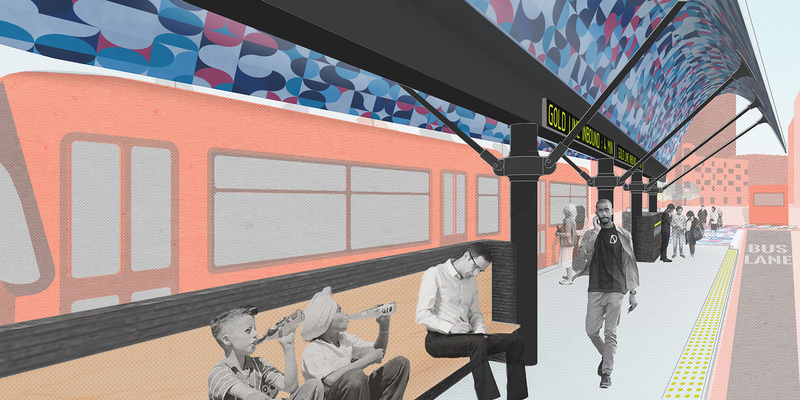 Utile’s future bus station vision, called “The Billow,” is the product of an interdisciplinary team of urban designers, transportation planners, and architects, and is named for its sculptural and weightless form. 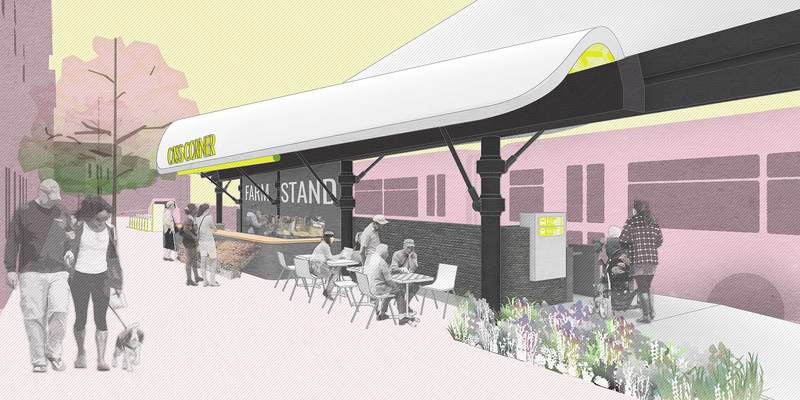 Bold yet timeless design, rider comfort, and seamless integration into the city streetscape were among the objectives of the design process. 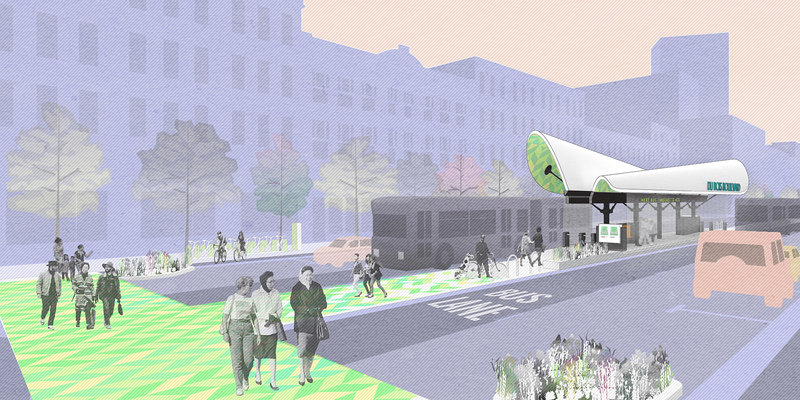 The first, second, and third-place winners of the BostonBRT Station Design Competition were selected by a jury of eight professionals from the transportation, design, and public health sectors, and were announced at StreetTalk: Cities on the Move on May 23rd. 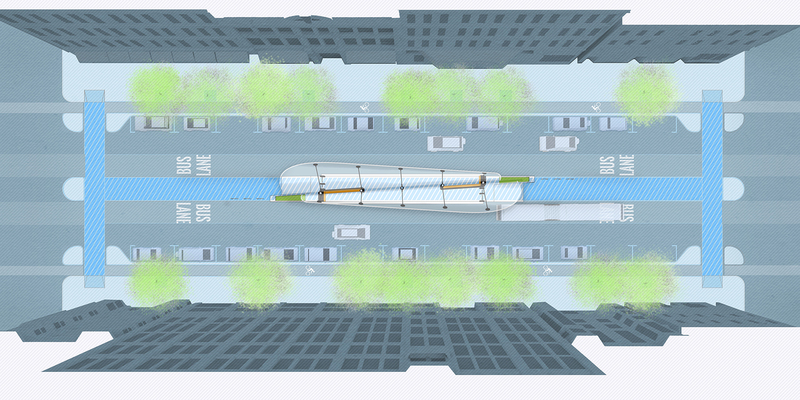 This reception and panel discussion was hosted by the LivableStreets Alliance, together with the National Association of City Transportation Officials (NACTO) and TransitCenter. Transit advocates from across the U.S. spoke about how their local agencies are “rethinking their streets to boost reliable and safe travel for people on foot, buses, and bikes.” Speakers included Sean Quinn from NYC DOT, Bill Bryant from King County Metro Transit, Sean Kennedy from SFMTA, Tegin Teich Bennett from Cambridge Community Development, and Stacy Thompson of LivableStreets Alliance. As part of the first place prize, two members of the Utile team have the honor of traveling to ITDP’s international Mobilize Summit in Santiago, Chile from June 28-30, 2017.